Discussion in 'Map Factory' started by DaBeatzProject, Oct 5, 2009. 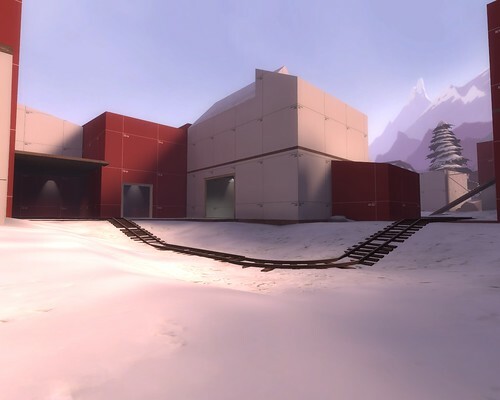 This map, set in a snowy environment, is a goldrush-style payload map (Three stages, 2 Control Points per stage, ...). As you 'might' have noticed, the name is about to change from the moment I find a better one. Not much more to say I think. Greets, and enjoy the map! I liked playing this. It's hard to tell how well it is balanced, as we only played 3v3 and 4v4, but it seemed to play well in our little playtest. No overpowered sentry spots or chokepoints anywhere. Great. 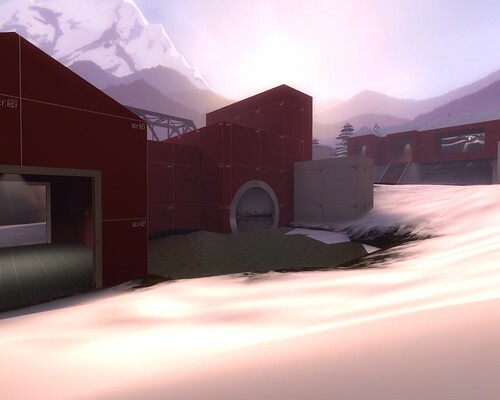 Maybe you want to do something about it being very easy to get behind the other team (for both sides) through the buildings near the second point, but hold off this until you get some proper testing. It was in no way map breaking. Yay, it has a thread. Well, what can I say, hmm... It seemed that the map had too many flanking routes and it was quite easy for both teams to get to the other side of the map and attack the enemy in the back. There were also holes between the setupgate frames and the wall, I won't post a screenshot since I'm too lazy and I think you know about what I'm talking. Well, it's good so far, maybe a little more RED cover would make it better. Our playtest wasn't with many players, but BLU managed to steamroll it fairly easily if they captured the first point. Well it certainly looks promising, I'd love to test it if I get a chance! 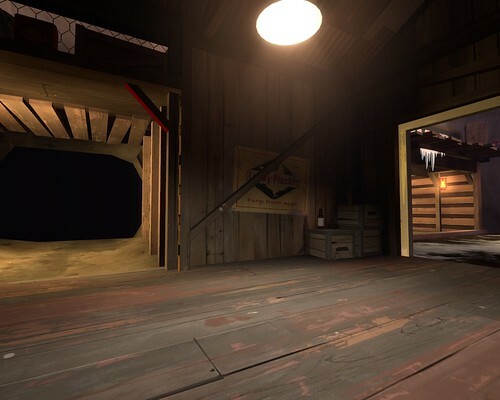 When I play this map, I will be expecting atleast some drumbeats in the soundscape. Maybe a little open and empty in the outdoor parts. But I guess will have to see, If they layout is good then it shouldnt be a problem. Looks like you nailed the snow theme down very well. But it looks a bit on the open side of things. Should we be suggesting names? And thanks for the replies, all! 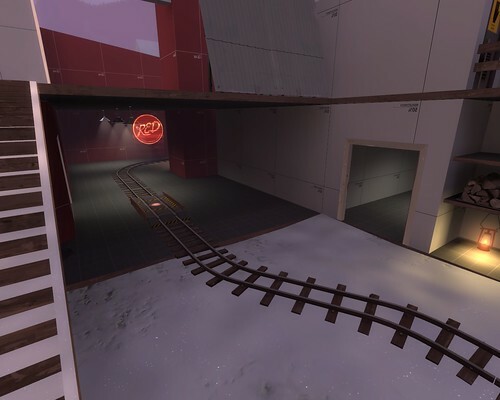 The map's currently on the EU server already, so if you want, we can have a playtest today. And that was my last act as a donator. I will fix some lighting issues later on. That's the route from stage1 -> stage 2. 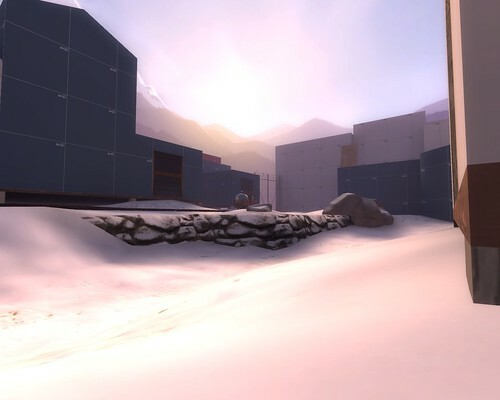 Any comments on the small playtest we just had? 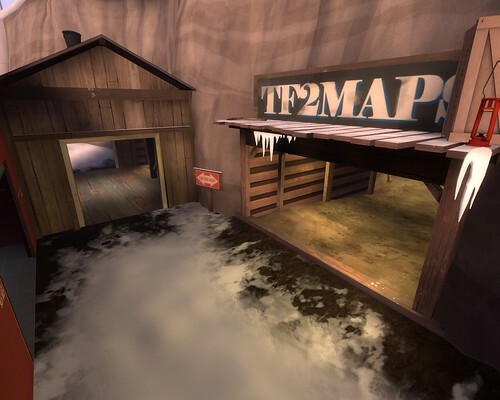 The sign is nice but it looks very out of place, like a blatant advertisement that detracts from the feel of the map. I would hide it a bit better.